Portugal is a wine lover’s dream destination as the country offers old world charm (the historic Port lodges in Vilanova de Gaia are a “must”) as well as a youthful creativity and enthusiasm (Portugal has some of the most dynamic, youngest winemakers in Europe). Fabulous new spa hotels and renovated historic mansions and monasteries have opened up in the last few years in the Portuguese wine country (from the dreamy Alentejo to the breezy Lisbon coast, and of course the one and only Douro Valley) and it has never been a better time to visit. Pamper yourself with great food, wine and picturesque lodgings in Portugal! 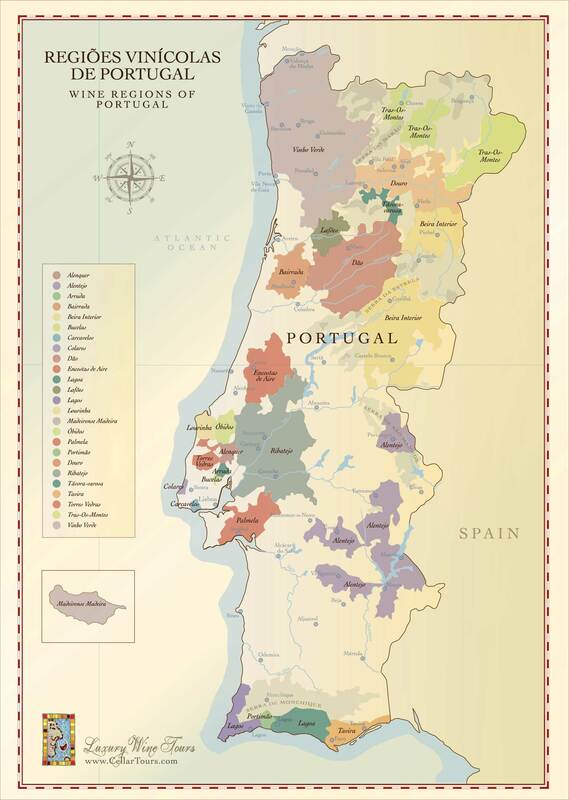 Embed Portugal Wine Regions Maps on your site: copy and paste the code below.